NELSON, B.C. - The owners of two cheetahs will not be allowed to return the large, African cats to southeastern British Columbia to use them as ambassador animals promoting conservation of the endangered species. The Environmental Appeal Board, which considers issues raised under B.C. 's Wildlife Act, has refused to overturn a 2017 ruling denying a permit to move the cheetahs to Crawford Bay, north of Creston. The board panel, chaired by Linda Michaluk, questions Pfeifer's commitment to his own safety protocols and his ability to control the seven-year-old cheetahs, Robin and Annie, which were described as "undisciplined" by a wildlife park operator in Alberta who briefly housed the cats. Pfeifer and Plato had hoped to bring the pair to a property in Crawford Bay to use them for "education and outreach" aimed at children, after acquiring them from a South African reserve. 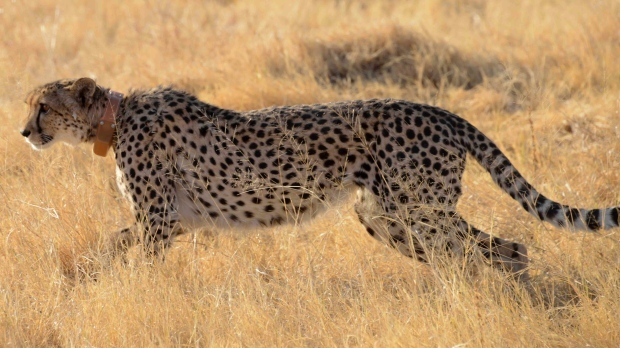 A team member with Cheetah Outreach in South Africa told the hearing that cheetahs are the most docile of the large cats and that Robin is blind but both he and Annie, "are well socialized and suitable as ambassador animals." Linda Rosenlaf said she worked with the two felines in South Africa in the year after they were born and before they were shipped to Pfeifer and Plato in Ontario in 2013. She testified there is no formal study program to become a cheetah trainer but the panel referred to a textbook co-written by cheetah biologist and handler Laurie Marker, who testified on behalf of B.C. 's director of wildlife. "Cheetahs are not pets; they are wild animals and should be treated as such," says the textbook "Cheetahs: Biology and Conservation." "Working with cheetahs requires extensive previous experience with animal training and handling. There are both courses and books that teach training practices that use positive reinforcement. Additionally, trainers new to cheetahs must begin their hands-on work with a mentor or with experienced co-trainers," the textbook says. Given that description, Michaluk writes that the panel "has concerns" about Pfeifer's level of formalized training and with the consistency of care he could offer the cheetahs, especially during the daily walks and exercise he told the panel they would require outside the enclosure. "Of particular concern is the evidence regarding Annie's escape (in Crawford Bay) in December 2015. This reflects on the appellant's abilities as a handler, although the panel accepts that this incident raises more issues than simply handling expertise," writes Michaluk, adding that Pfeifer brought the cheetahs to B.C. shortly before Annie escaped, even though he knew he lacked the required permit. 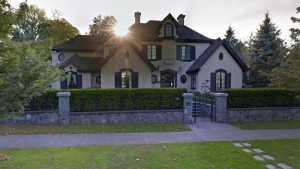 "The appellant, in short, has demonstrated a disregard for the B.C. laws and regulations regarding (species such as cheetahs,) and for safety procedures and protocols of his own design, and of others," she writes. "In conclusion, the panel cannot conceive of any additional 'special circumstances' that support this particular applicant receiving a possession permit for these particular prohibited species."